We have achieved the next roadmap milestone this April. 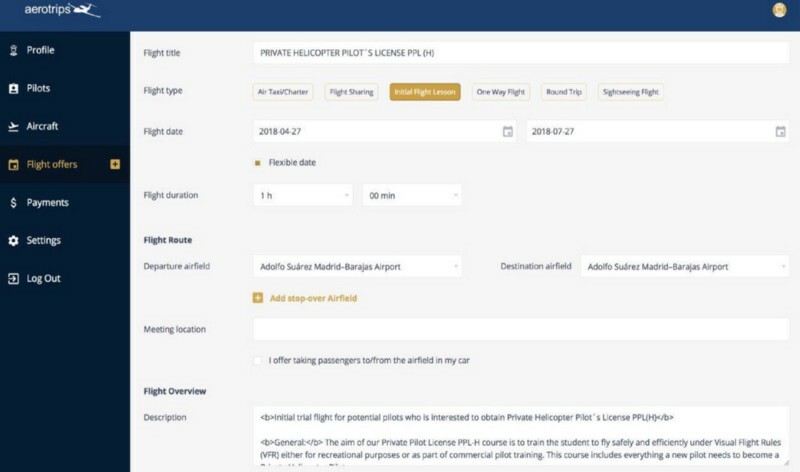 Backend of Aerotrips.com web portal is fully integrated with Ethereum blockchain, making it possible to proceed to the next critical milestone — enabling token payments for Aerotrips.com services. Development is in full swing to beat the roadmap, and complete that milestone within 2 months. 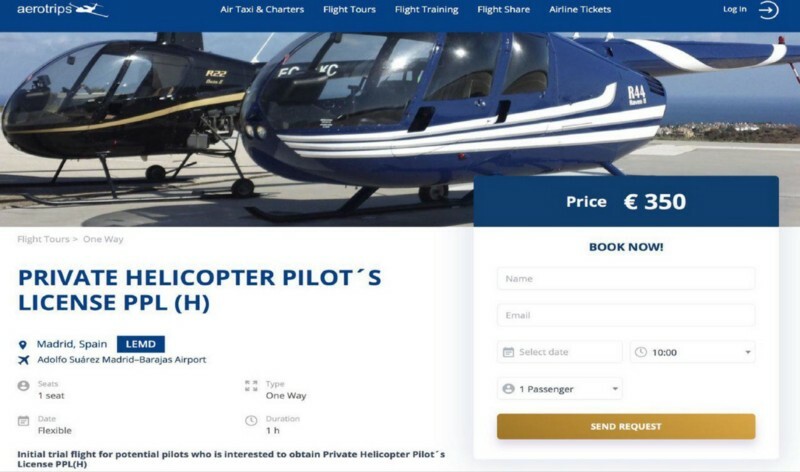 New flight offers at Aerotrips.com can now be completed not only by the individual pilots, but by the staff of the flight schools and other service providers directly. Corporate (company) interface is now released, to create or customize the engaging offers with rich visual content. Each offer is manually curated by the team, including requirement to upload licenses and authorizations where applicable. Once published, such offers are easily searchable. Installed base of Aeron Pilot applications on App Store and Google Play keeps growing. At this stage, application usage remains free of cost and we have recorded over 2500 flight logs since launch of the applications. User feedback helps us improve and release the new version in early May, which would fix the bugs and expand functionality (including helicopters and flight simulators with relevant functionality enabled for the flight logging). In presentations held to aviation authorities of Cyprus, Bahrain and Nepal, among the others, there is a progress through the second round of demonstrations, with live Aeron application. It was integrated into pilot training process at least under one authority in the past month. Further outcomes and feedback will allow digital records to become closer to official recognition and adoption for the licensing process. We will further inform Aeron community of the ongoing developments.